Make this restaurant favorite even better with margarine. 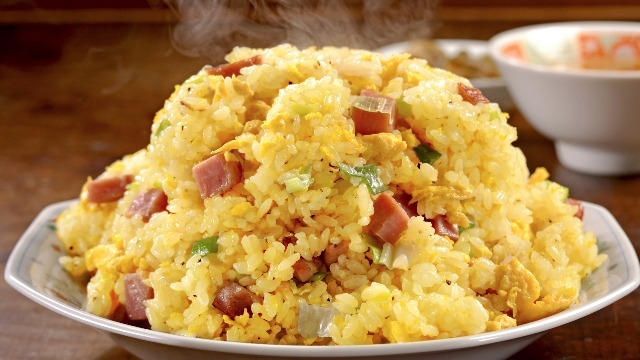 Yang Chow Rice is a delicious Chinese staple that is versatile and easy to pull off. The best part about this simple dish is how easily you can utilize leftovers—like rice and veggies—then spruce it up with shrimp and Chinese sausage. Looking to make your fried rice extra flavorful? That's where Star Margarine comes in. All you need to do is take leftover rice, some veggies (like baby carrots, green beans, onions, green onions, and peas), margarine, and throw in some protein; then toss everything in a wok or a wide skillet and you've got a hearty full-balanced meal that you could pair with practically anything. Star Margarine is ideal for brain growth and development with vitamins B6, D, B9, B12, and iodine; increases energy thanks to vitamins B2, B1, and B6; and aids in bone and muscle development due to vitamins D3, E, B12, folic acid, B1, and A. It's loaded with unsaturated fat that helps reduce bad cholesterol and equips the body with the essential fatty acids it needs. Add STAR Margarine in a hot wok, make sure the whole pan surface is fully coated. Sauté garlic until golden but not toasted. Add onions and cook until translucent. Add Chinese sausage and shredded fish and stir-fry until cooked. You can also use some leftover ham or longganisa. Add the rice, soy sauce, green peas and another spoonful of STAR Margarine. Add beaten eggs and mix until the eggs are fully incorporated. Serve immediately. This article was created by Summit StoryLabs in partnership with Star Margarine.